Michael A. Armstrong is the firm’s founder and managing partner. Under his leadership, the firm has emerged as a leading firm in New Jersey. Before founding the firm, Mr. Armstrong, a 1989 graduate of Seton Hall Law School, served as an Associate in the law firm of Freeman, Zeller & Bryant. At Freeman, Zeller & Bryant, Mr. Armstrong built upon his extensive trial experience focusing his practice in the area of general litigation, including contract, insurance defense, property issues, criminal and commercial litigation and administrative claims. Prior to his work at Freeman, Zeller & Bryant, Mr. Armstrong was an Assistant Federal Public Defender where he gained extensive trial experience zealously representing defendants before the U.S. District Court and Court of Appeals for the Third Circuit. 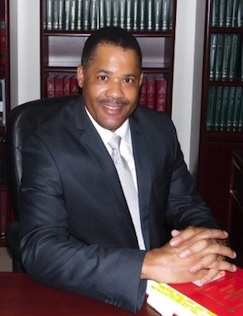 The U.S. District Court, for the District of New Jersey, has appointed Mr. Armstrong, pursuant to the Criminal Justice Act, to represent indigent individuals for the past twenty-four (24) years. Since 2002 until present, he serves as Solicitor to Willingboro Township. Additionally, he is an essay reader for the State of New Jersey Board of Bar Examiners. He has served as counsel to the New Jersey State Senate, Senate Parliamentarian, Solicitor to the Willingboro Municipal Utilities Authority for more than fourteen (14) years and Willingboro Township Solicitor for fifteen (15) years. Mr. Armstrong continues to obtain favorable results for his clients before state and federal, and appellate courts, as well as administrative agencies. He is admitted to practice in the New York, New Jersey, and Georgia Bars, as well as the U.S. Court of Appeals for the Third Circuit.